Hi! We’re Lisa Henry and J.A. Rock, the authors of THE MERCHANT OF DEATH. We’re touring the web talking about our influences, our processes, anything we can think about actually, and even giving you guys a sneak peak or two! 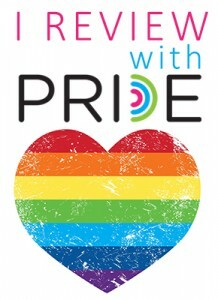 And what would a blog tour be without a contest? Check out the details at the bottom of the post to see what you can win! 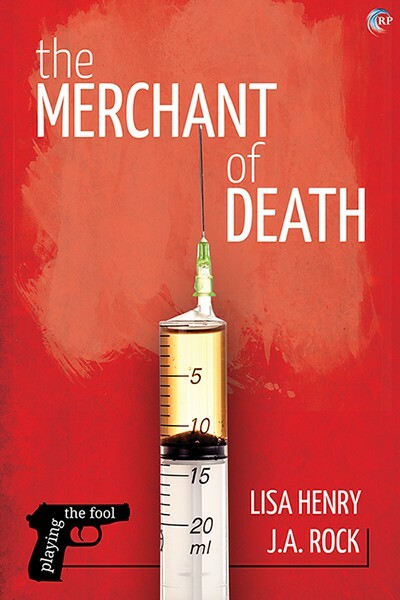 Purchase Link: You can check out THE MERCHANT OF DEATH at Riptide or Amazon. There’s something rotten in the state of Indiana. When con man Henry Page takes it upon himself to investigate the death of an elderly patient at a care facility, he does so in true Shakespearean tradition: dressed as a girl. FBI Agent Ryan “Mac” McGuinness has more to worry about than Henry’s latest crazy idea. Someone is trying to send him a message—via a corpse with a couple of bullets in it. He needs to figure out who’s trying to set him up before he gets arrested, and he really doesn’t have time for Henry’s shenanigans. Then again, he’d probably be able to focus better if Henry didn’t look so damn distracting in a babydoll dress and a wig. But when Mac discovers that Henry has been keeping a secret that connects the cases, he has to find a way to live on the right side of the law when he just might be in love with the wrong sort of man. In THE MERCHANT OF DEATH, Henry Page is a con man. He’s old school though – no internet scams for him. You’ll never get an email from Henry telling you that you’ve won the Spanish National Lottery (Amazing! I never even bought a ticket!) or that the widow of a Nigerian prince needs your bank account details to get her money safely out of the country. Henry has a personal touch. Yeah, okay, so when it comes down to it he lies to old ladies and pretends to be in love with them so they’ll pay for his non-existent tuition, or give him money so he can do to Europe to study poetry. Is this a horrible thing to do? Yes, of course it is. But Henry would probably argue that his ladies at least get value for money. They get the ardent attention of a good looking young man who writes them poetry (or at least downloads stuff so obscure they probably haven’t read it before), enjoys spending time with them, and makes their friends jealous and their families rightfully anxious about the inheritance. Henry could probably remind us that there’s a long and proud historical tradition of artists sponging off the wealthy. And Henry’s a kind of artist, too, of course. A con artist. Surely that deserves some reward? In the PLAYING THE FOOL series, we never actually talk about whether or not Henry’s services extend all the way into the bedroom. That’s probably something we’ll leave for the reader to decide. There’s no such thing as a victimless crime, but we will say this for Henry: he genuinely likes the old ladies he scams, and they genuinely like him too. In THE MERCHANT OF DEATH, Henry’s too busy dressing up and drag and playing Nancy Drew to get back to conning anyone. Also, now that FBI agent Mac is keeping a closer eye on him, who knows when Henry will have the chance to get back to work? But sooner or later he’ll have to get back to what he does best, because the last thing Henry can afford to believe is that anyone, even someone as big and tough as Mac, can help him turn his life around. Henry’s not a con man because he’s a bad person. He’s a con man because he’s got no other options. In THE MERCHANT OF DEATH, you’ll meet the reason why. Thanks for following our tour! To celebrate our release, we’re giving away an awesome prize – an ebook copy of a novel of your choice from either of our back catalogs. We’re also giving away a $20 Riptide gift voucher, and Mac’s favorite coffee mug. What? It’s not like he’s supposed to be drinking coffee. 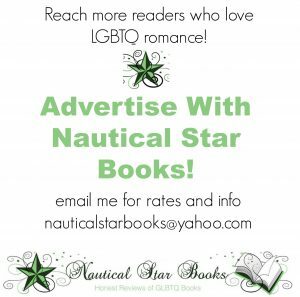 All you have to do is leave a comment on this post with a way for us to contact you, be it your email, your twitter, or a link to your facebook or goodreads account. Please put your email in the body of the comment, not just in email section of the comment form, because we won’t be able to see it otherwise! On February 12, 2015, we’ll draw a winner from all eligible comments! Be sure to follow the whole tour, because the more comments you leave, the more chances you have to win the prize! I have Merchant of Death queued up to read right after I finish my current book. Looking forward to reading about Henry’s sleuthing while in drag! Thanks for the post and contest.